MBA aspirants must be updated with General Awareness on current topics. General awareness topics with analytically drawn conclusions will benefit you in CAT, XAT, IIFT, CMAT, MAT, Essay writing, General Awareness sections besides in WAT, GD & PI. 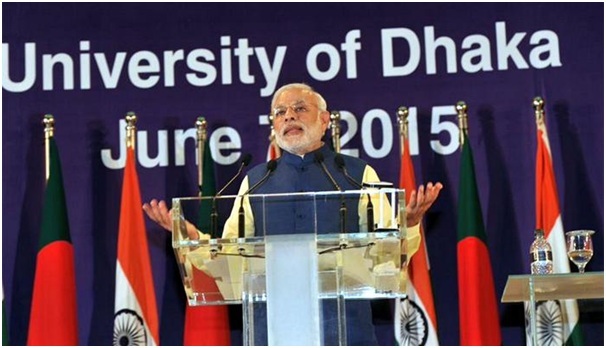 Indian Prime Minister Mr.Narendra Modi’s two day visit to Bangladesh during the first week of June, 2015 is hailed by many as the most successful foreign visit by Indian PM to Dhaka so far. As many as 22 agreements were signed between the two governments some of which were stuck for more than 40 years. Though agreement would not be reached over sharing of Teesta water, nevertheless, both the countries succeeded in ushering the new chapter of bilateral relations. India and Bangladesh solved their 41 years old border dispute by the signing of Land Boundary Agreement and it is this agreement which is quoted while calling the Indian PM’s visit to Bangladesh as most successful so far. The implementation of 1974 Land Boundary Agreement will allow both sides to swap more than 160 tiny enclaves whose residents were virtually stateless subjects living in squalid conditions.History of these enclaves can be traced back to pre-independence era when Raja of Cooch Bihar and Nawab of Rangpur used to play chess and used villages as the stakes in the game. After partition of India, Raja of Cooch Bihar sided with India while Nawab of Rangpur joined Pakistan which later became Bangladesh. Villages which Cooch Bihar won from Rangpur became Indian enclaves in Bangladesh while those which Cooch Bihar lost to Rangpur became Bangladeshi enclaves in India. The latest agreement exchanged these enclaves and the most controversial issue between New Delhi and Dhaka was brought to an end. More than 50,000 residents of these enclaves will now have the option to choose their nationality. Since long, India has been asking for transit facilities through Bangladesh to improve the connectivity to the landlocked north eastern states. Two agreements for starting trans-border bus services on the Dhaka-Shillong-Guwahati and Kolkata-Dhaka-Agartala routes will primarily benefit tourists and residents of India’s landlocked north-eastern states by cutting down travel time. With the beginning of Kolkata-Agartala service via Dhaka, the distance between state capitals is now reduced from 1689 kilometres to around 450 kilometres while the travel time is reduced from more than 30 hours to around 11 hours. Improved connectivity is vital for the development of underdeveloped and so far neglected north-eastern states. Apart from this, to improve connectivity, the two sides signed a pact to allow Indian cargo ships to use Bangladesh’s Mongla and Chittagong ports. The ships will now ferry cargo from Bangladesh to the Indian ports instead of routing it via Singapore as they earlier did. It would also reduce the shipping time by a week or less. The two countries signed another protocol on inland water transit and trade that will allow the use of rivers of the two countries to promote trade among India’s northeaster states and adjoining parts of Bangladesh. Bangladesh is also expected to gain from the increased regional activity and access to Nepal and Bhutan through Indian Territory. The two countries also signed a pact to promote maritime cooperation in the Bay of Bengal and the Indian Ocean. In the joint statement, India and Bangladesh agreed to hold an annual dialogue to undertake comprehensive energy sector cooperation including areas of coal, natural gas, LNG, supply of petroleum products in the sub-region, renewable energy, and oil and gas pipelines. India also offered to train Bangladeshi personnel in technical matters relating to civilian nuclear power. India agreed to Bangladesh request to increase the power export from existing 500 MW to 1,000 MW while also offering to partner Bangladesh in to goal of achieving 24k megawatt power by 2021. Reliance and Adani have signed a deal with the state-run Bangladesh Power Development Board to produce 3,000 MW and 1600MW of electricity respectively. A pact was signed for the construction of a pipeline for the export of diesel from West Bengal to Bangladesh. 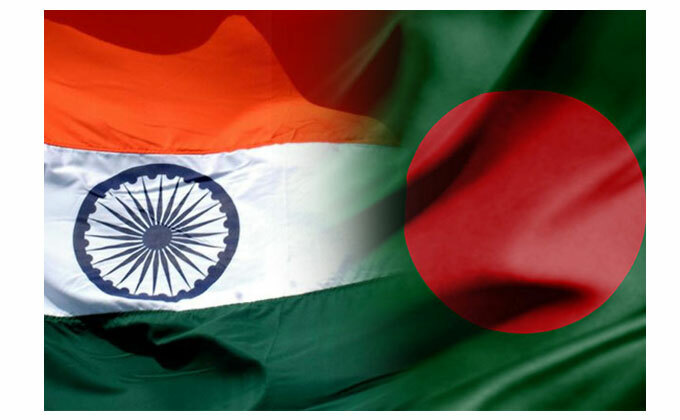 India and Bangladesh signed several pacts to improve the security cooperation which includes combating human trafficking, smuggling and circulation of fake currency notes. Bangladesh has been a major transit point for transit of fake currency. Both sides also reiterated their resolve to not let the terrorists use each other’s territory for any activity inimical to each other. The current bilateral trade between India and Bangladesh is USD 6.5 billion which is hugely in favour of India. In order to address the trade imbalance which is making Bangladesh uneasy, both the nations signed a pact to set up an economic zone that would allow Indian companies to set up base to manufacture and export goods to India.New Delhi also announced a second line of credit worth $2 billion for Bangladesh for undertaking various development projects. The only issue which dampened the spirits in Bangladesh was the exclusion of the issue of sharing of Teesta water over which West Bengal Chief Minister Mamta Banerjee was not ready to agree. Though both sides were not able to reach an agreement over Teesta, Indian PM assured solving this issue as well while saying that air, birds and rivers don’t need visa to travel between countries. Ignoring Teesta, there are several other agreements like Land Boundary Agreement, transit facilities, sharing of ports, energy cooperation, and security pacts which are win-win situation for both the countries.